Overview: You can experience the fun of shopping at a luxurious mall with one of the best slot games released by Win A Day Casino. 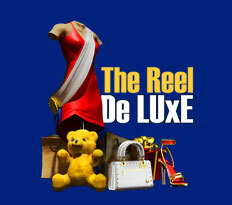 The Reel De Luxe or "reel of luxury" is a no download video slot game that is based on a beautiful shopping mall. The luxurious look seen in the game can be associated with one of the extravagant shopping malls in countries like Monaco. 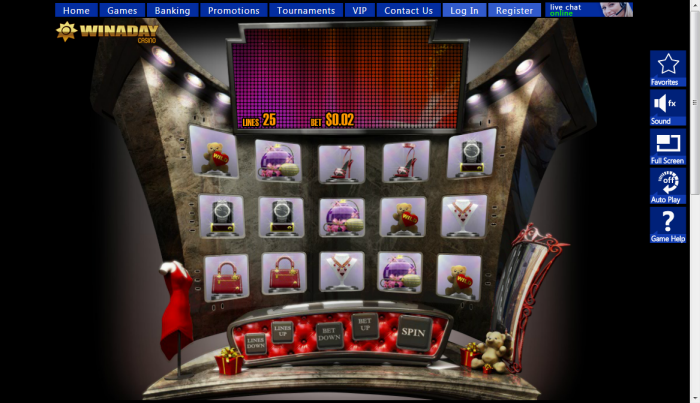 The symbols present in this slot game include a wild - Teddy Bear, scatters like Sale and Present, Bonus, Watch, Purse, High Heels, and Perfume. The Reel De Luxe comes with a progressive jackpot, which is currently well over $50,000. 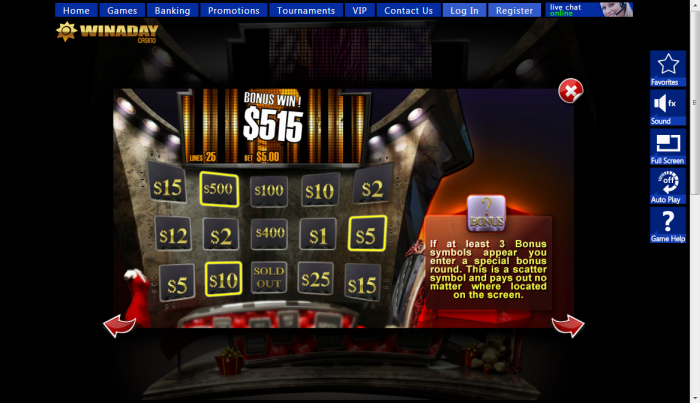 Eligibility for the jackpot can be gained by making a bet of at least $5. To claim the jackpot, you will have to hit five Necklace symbols in a row on any of the active paylines. Along with a wild symbol, other symbols can be used to make winning combinations. If you get at least three symbols on any reel in this instant play casino game, your reward will be a multiplied from 5 times up to 1,000 times, your overall bet. If you get at least three sale symbols on any reel, discounts of 10 per cent up to 100 per cent can be earned on your following three spins. The bonus round can be triggered if you get three or more Bonus symbols on any reel. 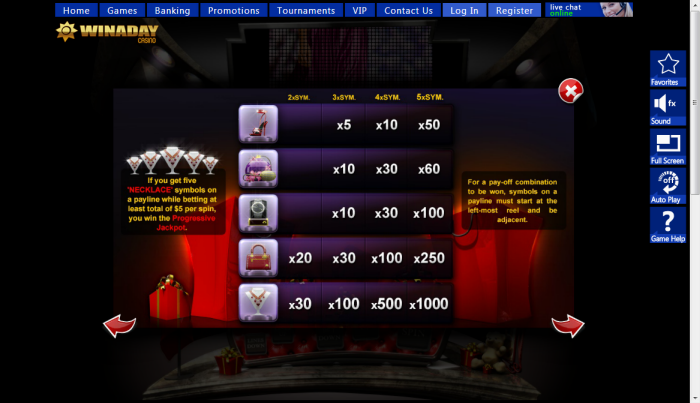 The symbols are replaced by pick me bonus fields where you can win extra cash prizes. The game ends when the sign - "Sold Out" appears on the screen. Similar Slots: If you like The Reel De Luxe, you might like these other slot machines from Win A Day Casino: Aztec Adventure, Monster Trucks, Touchdown, Vikings, Wheeler Dealer.